There are the authors everyone has heard about: George R. R. Martin, Stephen King. But what about all those books written by people you’ve never heard of? Some of them are treasures just waiting to be found, and that’s what this blog hop is all about: the books you might not have heard about, the authors you might end up loving. This blog hop is like a game of tag. One author posts and then tags other authors who link back to their website the next week and tag new authors. If you follow the blog hop long enough, you’re bound to find some writers you’ll love! Maybe you’ll even discover a book that ends up being the next big thing. I was tagged by Brent Smith, who is a 2012 graduate of the Odyssey Writing Workshop. Brent and I met this past summer at the annual shindig held at the end of Odyssey where the graduating class and old fogey alumni like myself get to hang out. Odfellows are made of awesome, so please do hop over to Brent’s blog to learn more about him and his writing: http://fossilist.wordpress.com. The novel that I’ve been in an on-again, off-again revising relationship with is currently called Future’s Gambit. I’m not happy with the title, though, so I usually refer to it as My Big Fat Epic Fantasy Novel. Once upon a time it was called Prophecy’s Sons, but then I decided it would be a much better story without the prophecy, so there went that. And then there are all of those shiny little short story projects clamoring for my attention. I have a few flash-length first drafts that I plan to revise in the coming weeks. I wrote them for a contest over at Codex Writers’ Forum where our entries remain anonymous until the end, which means I can’t reveal their titles without giving myself away. So if you really want to know what the titles are, ask me again in two weeks when the contest is over. The better question would be, where don’t I get ideas from? The little buggers are everywhere. I pretty much spend my life looking around and asking myself, “Is there a story in that?” Sometimes there isn’t. Sometimes there is, but it’s a sucky story that no one wants to read. But often, there’s something cool there worth exploring. Most of my work falls under the fantasy, horror, and science fiction umbrella, but I write the occasional mainstream piece too, usually of the quirky variety. I write more fantasy than anything, but even within that genre, there’s a whole mess of sub-genres that I’ve tackled—epic fantasy, contemporary fantasy, steampunk, humor, alternate history, dark fantasy, magical realism, etc. At the end of the day, I just want to tell a good story, genre be damned. 4. Which actors would you choose to play your characters in a movie rendition of your novel? This is the really sad part about my on-again, off-again relationship with my novel-in-progress: I finished the first version of it back in 2005, which means some of the actors I first pictured as the characters are now too old to play them. Whether reading or writing, the cast in my head tends to have a direct correlation to whatever TV shows I’m watching at the time. So in my head, a movie version of my novel would bring together actors from Angel, Buffy the Vampire Slayer, Battlestar Galactica, and Farscape. 5. What would you do with your spare time if you weren’t writing? Theater. I used to perform in community theater productions, but I haven’t done a show in about eight years now. Finding the time and energy for both that and writing just wasn’t happening. 6. Will your work be self-published or traditionally published? I prefer the traditional route. Self-publishing involves a level of self-marketing that I just don’t have the time or emotional energy to invest in. Not that there isn’t any self-promotion involved when you’re publishing the traditional route, but I think you have to work twice as hard when you don’t have an established publisher putting their weight (and money) behind your work. I’m an introvert who constantly has too much going on as it is, so my self-promotional energy needs to be carefully rationed. 7. How long does it take you to write a story? For short stories, anywhere from a couple of hours to a month. It all depends on the scope of the story, what else is going on in my life (trying to write while in grad school has been a challenge), and whether it’s one of those stories that just flows onto the page or one that I have to pull kicking and screaming out of my brain. For my novel, it’s taken too damn long. First, I wasted the better part of my 20s constantly rewriting the first two chapters without moving forward. Once I finally got serious about writing and started doing it regularly, it took me a year of writing during my lunch break to finish the first draft. After that, I spent a few months getting feedback and revising. I queried agents next, failed to land one. Then I attended the Odyssey Writing Workshop in 2007, saw all of the flaws in my writing, and realized why I had failed in the agent search. Cue brilliant epiphany on how to revise the novel! Unfortunately, I’ve only been revising in fits and starts since then due to divided loyalties—I’m excited about the novel, but after finishing the first draft, I discovered just how much I love writing short stories too. 8. Whose work would you compare yours to within your genre? I’m such a horrible judge of my own work that I honestly have no clue. About the best I can offer is that I’ve gotten several comments on my novel that say it has a George R.R. Martin vibe to it, though thankfully not in a derivative way. 9. Who or what inspired you to write your novel? When I was in high school, I wrote a novella that I of course thought was brilliant. Several years later when I was in college, I pulled out the novella and was horrified at how derivative it was. Among the numerous epic fantasy clichés and one-dimensional characters, there was your stereotypical white-bearded wizard. I was sick of white-bearded wizards and decided I needed a different one. While mulling that over, I sat down to watch Deep Space Nine. Epiphany! 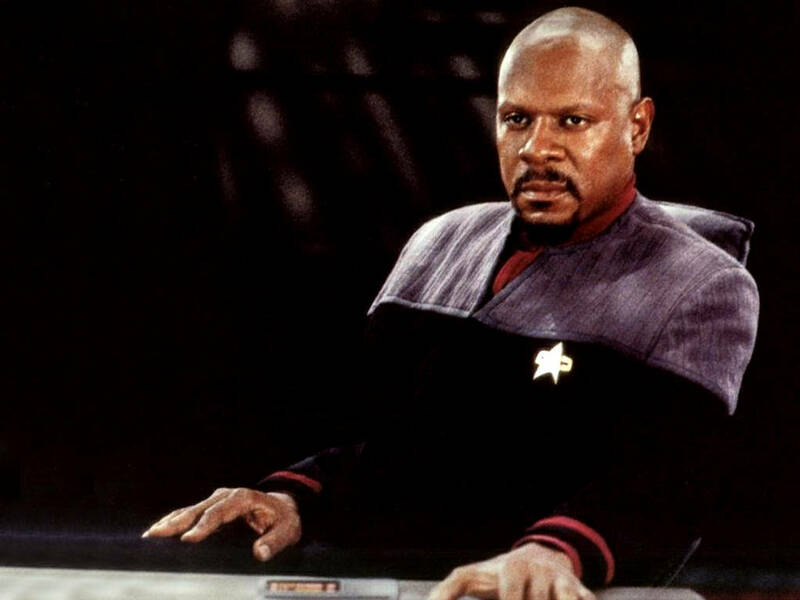 My wizard would look like Captain Sisko and be just as badass. As soon as theDS9 episode was over, I started writing a scene with this new wizard, at which point my years of constantly rewriting the first two chapters of my novel officially began. 10. When and where do you do your best writing? I can write just about anywhere, any time. The less distractions, the better, but sometimes I don’t have much of a choice. Right now most of my writing gets done on my train ride to and from Ye Olde Day Job. Rebecca Roland: Becky was one of my awesome-sauce classmates at Odyssey. She’s also a fellow member of the Codex Writers’ Group, as well as a fellow wine and chocolate addict. Her first novel, Shards of History, was published by World Weaver Press last year and grew out of a story I had the pleasure of critiquing at Odyssey. She has also had short fiction published in Uncle John’s Flush Fiction and Every Day Fiction. Shveta Thakrar: Shveta and I have been through two writing groups together—a Philly-based spec fic group where we met, and then what we dubbed the Awesome Ladies of Awesomeness. Shveta writes Indian-flavored fantasy that very often makes me hungry, so it’s a good thing we live close enough to go out for Indian food on occasion. She recently finished Sipping the Moon, a YA novel set in Philadelphia and featuring Indian fey, and has had short stories in PodCastle, Demeter’s Spicebox, and Steam-Powered 2: More Lesbian Steampunk Stories. K.A. Magrowski: Krista has been one of my fellow Awesome Ladies of Awesomeness critiquing partners and often incites me to mock Giorgio Tsoukalos’s hair. Like me, Krista is determined to achieve novel-selling success before the zombie apocalypse arrives; unlike me, she has actually finished her novel, a ghostly YA tale called Small Town Ghosts. Her short fiction has appeared in Dreams of Decadence and Tall Tales and Short Stories from South Jersey. This entry was posted in Writing and tagged memes, my big fat epic fantasy novel, writing. Bookmark the permalink. ← Guest blogs and awesome and coldness, oh my!